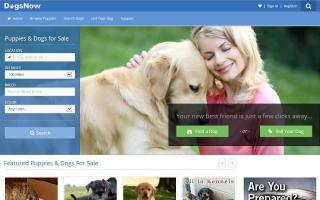 North America Dog Directory and Puppies For Sale - O Puppy! Pitbull supplements. 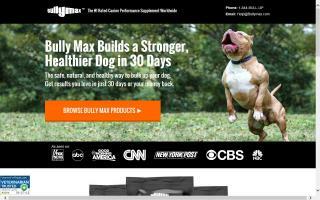 Bully Max specializes in dog vitamins for health and nutrition. From personalized dog collars in leather and nylon to fancy rhinestone. 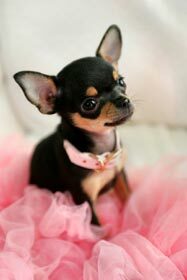 From inexpensive dog collars to designer, custom made collars and haute couture, you'll find it here. In classic black or brown, in fancy hot pink, in blue, purple, yellow, orange, red, lime green... with conchos or buttons, with studs, spikes, with flowers, hearts, stars, cross bones, or skulls. From tiny extra small (6, 7, 8, or 9 inch) up to giant XXL extra large (30, 31, 32, and 34 inches). The section, personalized dog collars, especially offers great choices. Leather collars with engraved buckles or nameplates, webbing and nylon collars with the name of your dog embroidered, and collars with your dog's name in bling bling letters. Matching dog leads, leashes, and dog harnesses are available as well. 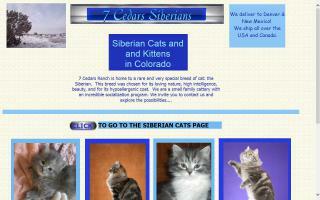 The site also offers free coupon codes for several pet boutiques. Dogs and puppies for sale. 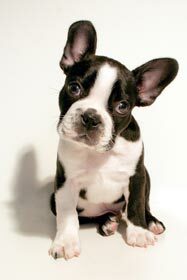 Find a dog from a breeder near you. 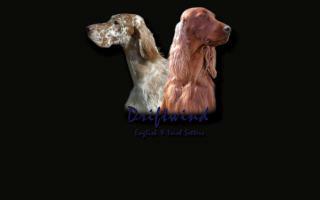 English Setters and Irish Setters. 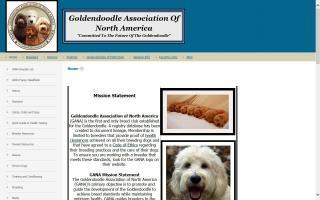 Visit this site to find Goldendoodle breeders in your area. 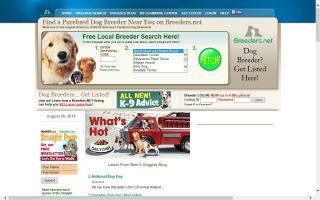 You can also advertise for free if you are a Goldendoodle breeder. A comprehensive listing of Great Dane breeder's web sites in the United States and Canada, sorted by state and province. Available coat colors are noted with each listing. 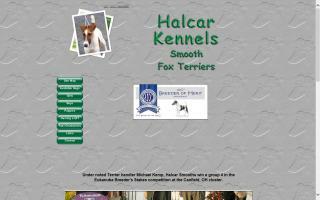 Owners and breeders of Smooth and Wire Fox Terriers for conformation, agility and companions for over 40 years. 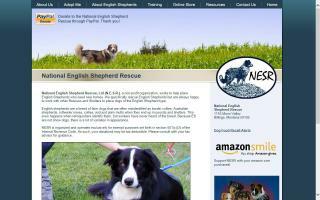 National English Shepherd Rescue, a non-profit organization, works to help place English Shepherds who need new homes. We specifically rescue English Shepherds but are always happy to work with other rescues and shelters to place dogs of the English Shepherd type. This site lists Puggle breeders and is great if you are trying to find a Puggle breeder in your area. 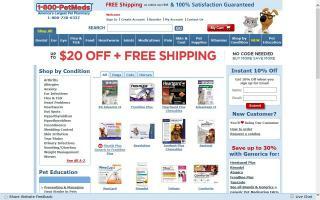 America's pet medication and pet health resource. Discount prices on pet supplies, Frontline Plus, Advantage, Heartgard Plus, Sentinel, Interceptor, Frontline Topspot, Rimadyl, K9 Advantix and many more medications and pet supplies for your pet. 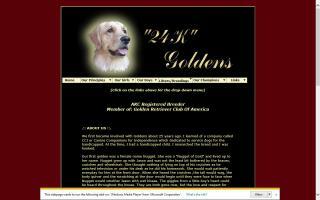 Breeders of champion Golden Retrievers in California for show, competition, and service work. Australian Shepherd dogs and puppies. 5280 Toy Rat Terriers - Puppy Listings! We specialize in Toy (5-10 lbs mature) and Tiny Tot (under 5 lbs mature) Rat Terriers. Our puppies come to you trained. We feel you deserve a puppy ready to learn and become a part of your family. We understand the frustration of housebreaking and leash-training your new puppy, so we do all this for you. We will be here anytime to assist with your needs. Tails docked and dew claws removed. NRTA and CKC registered. 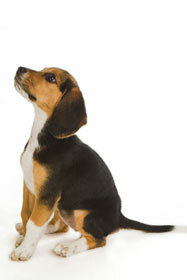 Puppies are litter-trained and started on basic obedience. Stud service is available. 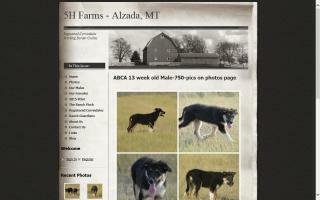 We are a small farm raising ABCA Border Collies, registered Corriedale sheep, and Shorthorn Club calves.